Getting closer to murdering some snowflakes! My winter vehicle search has continued. I've got it down to 2 cars, neither of which is particularly close to me. Viscous-coupling center diff, normally 33:67 F:R torque bias. Lockable in high and low range, and can drive in rwd as well. Locking rear open diff. This is at some random dodgy used car dealer. They have no idea on maintenance history so it's gonna need a timing belt job sooner rather than later. They said it has a couple surface rust spots, and mismatched tires. It'll need some money put into it but that also means leverage on price. This has what Isuzu calls Torque On Demand 4wd, it's a BorgWarner automatic 4wd transfer case. It likely has a rear clutch-type LSD but waiting to hear confirmation of this from the seller. Listing says: "Sony stereo CD player, back up camera, recent tune up, new suspension, new timing belt, new water pump, rebuilt transmission." No idea on tire situation. 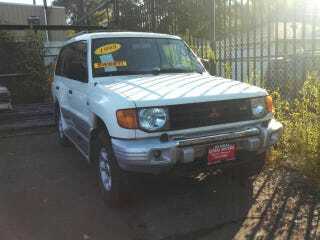 To me, the Montero just seems more nifty. But I'm thinking this particular Trooper is in better shape than this particular Montero. But with the locker on the Montero, the Trooper needs to have that LSD in order for me to consider it.